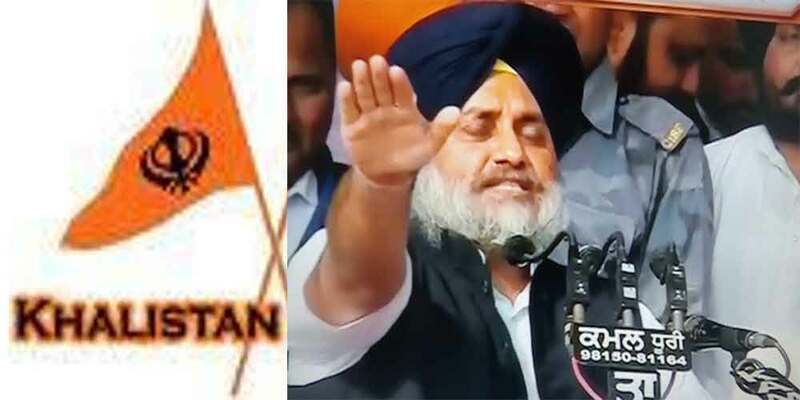 Jalandhar: Amidst the controversy over alleged anti-India sloganeering at Jawaharlal Nehru University (JNU), Punjab Deputy Chief Minister and president of ruling Shiromani Akali Dal Sukhbir Badal yesterday said that he had demanded strict action against those supporting the idea of Khalistan over social media. “Recently I met Union Home Minister Rajnath Singh. This matter also came up and I have demanded strict action against such elements. We won’t allow any disturbance to be spread in the state,” Sukhbir Badal reportedly told media persons at Jalandhar. Sukhbir Badal condemned the incidents of attacks on Hindu organizations leaders in the state. He said taht the matter was being watched closely. “The culprits would be behind the bars very soon,” he said.